It's another day, another weekend, another Sunday. 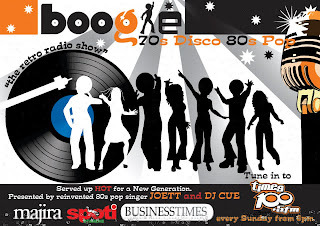 I look forward to today's show, particularly because I want to talk about the History Of Disco. How it started? Who started it? And how its penultimate melodramatic demise came about. Disco is considered the father of several dance music genres that have emerged since the 1970s, such as house, Latin freestyle, Hi-NRG, nu-disco, Italo disco, and Eurodisco. So I thought it would great to take a step back and reflect. This is today's playlist. There's also an 80s slow groove segment in the second half of the program where DJ Cue will mix the tracks in the studio. 8. Patrice Rushen – I Was Tired Of Being Alone 1982. 16. The Ritchie Family – The Best Disco In Town 1976. 80s Smooth Groove Mixed by DJ Cue. We won't play all of them, there won't be enough time. But you'll find out in what order DJ Cue will mix the tracks on the show. 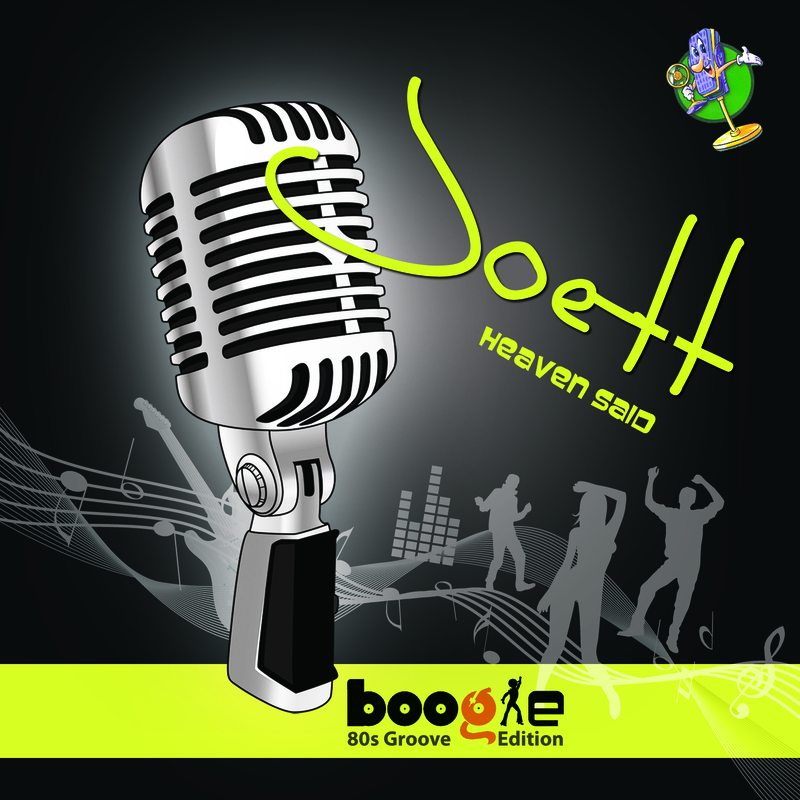 Joett New Single "Heaven Said" Coming Soon! I was introduced to multimillion-selling record producer Tambi Fernando by one of my closest and dearest friends Deborah Cabral. When I stepped into his London studio back in 1995, not only was I totally impressed with his set-up, I was moved by his music. And to top it all off, what really got me going was when he played a couple of tracks that he'd been working on with my idol Mica Paris...who was later to become known as the British Queen of Soul. Tambi's production standards are extremely high. He is an international producer who's worked with Phil Fearon And Galaxy, Switch, Nevada, Pepsi And Shirley, the "Prince of Bhangra" Sukhbir and a host of other world famous artists. To date, Tambi has sold over 5 million records. My very first recording with Tambi Fernando was "Heaven Said" in 1995. I learned a lot from Tambi. The man is a genius. If you've got a bit of talent, Tambi will draw it out of you like you never imagined possible. He is meticulous, dedicated to his craft and has a way of bringing out the best in you. We worked all night on this track, in a fabulous state-of-the-art recording studio in North London. I will for always cherish these wonderful memories. Seventeen years on, this is the official global release of "Heaven Said"...on my own record label and with a little help from Island Def Jam Digital Distribution, USA. Enjoy! 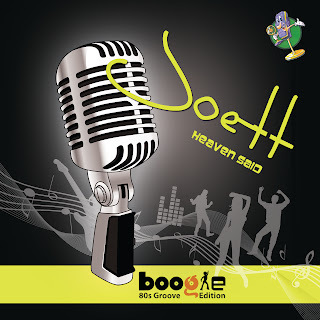 -- JOETT (www.joettmusic.com). Global release 12th March 2012. Tanzania release 20th February 2012. My t-shirts AND bandanas, as sported by myself on the ITV television show TIKISA, finally, are due to hit the stores soon. I've had a lot of requests for this, it's about time I gave my fans what they want. I'm also signing two guys -- Ashraf and Dickson (pictured) -- to model my t-shirts and bandanas AND to appear in my forthcoming music videos. 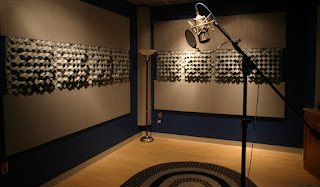 On the music front, I'm currently remastering and releasing my back catalog this month and into March 2012. First out will be "Heaven Said", a track I recorded in London in 1995 but was never officially released. Although I'm told it did air on local radio a while back. This, however, is the official release...an 80s Groove track going under the new Boogie brand in synch with my radio show. I'm also re-releasing my smash hit single "Afro Lover" from 1996. This track is sung in Kiswahili and it's all dance, techno, house music with 6 pumping mixes on the single. Watch out for updates and sales outlets. Coming soon! Guys, I was unable to blog my playlist last week because my computer had gone technical. While my techie was sorting out the problem, I was unable to go online...unable to do anything. Thank goodness my playlist had already been printed out. I've had requests from listeners who say not only do they love the show, they take notes of all the tracks I play. And so they've asked for the playlist of last week's show. So here it is! Note: I played the first and second tracks at the end of the previous week's show. 1. 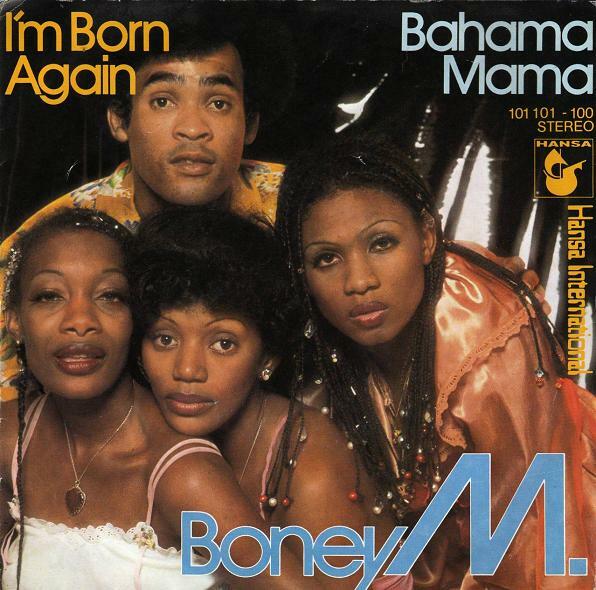 Boney M – Daddy Cool 1976. The group's big break came when they appeared on the live music show Musikladen on German television on September 18, 1976, after 10 pm and in their daring stage costumes, where they performed the song "Daddy Cool". The song quickly went to no.1 in Germany, with the album following the success of the single. 15. Eruption – I Can’t Stand The Rain 1979. Eruption was formed in 1974 in Britain. In 1975 they won the RCA Soul Search Contest, whilst their first single "Let Me Take You Back in Time" was released in 1976. Finding their success quickly drying out, lead singer Lindel Leslie left the group, and their backing singer Precious Wilson stepped forward to front the band. 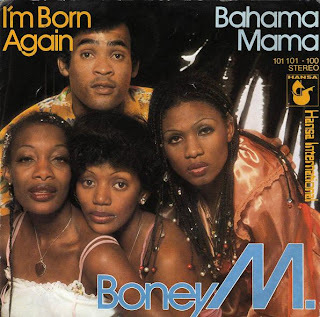 They went on the road in Germany where Frank Farian, the producer of Boney M., took notice of them. Farian signed the group with the Germany-based Hansa Records and the band supported Boney M. on tour. After a minor hit single with "Party Party", their cover of "I Can't Stand the Rain" from their first album (of December 1977) was a hit, reaching #5 in the UK Singles Chart, and #18 in U.S. Billboard Hot 100. Precious Wilson left the group in 1979 to pursue a solo career and was replaced by singer Kim Davis. 17. Luther Vandross – Give Me The Reason 1986. In 2008, Luther Vandross was ranked #54 on Rolling Stone Magazine's List of 100 Greatest Singers of All Time. Vandross also sang backing vocals for Diana Ross, Roberta Flack, Gary Glitter, Carly Simon, Chaka Khan, Todd Rundgren's Utopia, Donna Summer, Bette Midler, Chic, and Barbra Streisand. Sadly, Vandross died on July 1, 2005 at John F. Kennedy Medical Center in Edison, New Jersey at the age of 54. The apparent cause of his death was a heart attack. His funeral was in New York City on July 8, 2005. After two days of viewing, Vandross was entombed at George Washington Memorial Park in Paramus, New Jersey. Much of his estate was left to friends and his godson Mark West. On September 20, 2005, the album So Amazing: An All-Star Tribute to Luther Vandross was released. The album is a collection of some of Luther's songs performed by various artists, including Stevie Wonder, Mary J. Blige, Usher, Fantasia, Beyoncé Knowles, Donna Summer, Alicia Keys, Elton John, Celine Dion, Wyclef Jean, Babyface, Patti LaBelle, John Legend, Angie Stone, Jamie Foxx, Teddy Pendergrass, Chris Farley and Aretha Franklin. Aretha Franklin won a Grammy for her rendition of "A House Is Not a Home", and Stevie Wonder and Beyoncé won a Grammy for their cover of "So Amazing". On today's Boogie radio show: You’re not going to believe this. MASSIVE HITS! 80s Remixes…mixed by DJ Cue. Imagine that? Non-stop remixed 80s disco classics skillfully mixed live by the one and only DJ CUE! Playlist includes: Inner City – Ain’t No Body Better (Groove Corporation Remix) 1989, Jaki Graham – Set Me Free (12” Version) 1986, Rick Astley, Five Star – The Slightest Touch (The Petibone Touch Remix) 1986. Tune in at 6pm today Times 100.5 FM. It's New Year's day and it's time to Boogie! The show didn't air on Christmas Day...I guess we took a break. But we're back in earnest. DJ Cue and I will be rocking Dar es salaam today with some smooth funk classics on this auspicious FIRST day of the year 2012. Thank God we're here, now let's CELEBRATE! On today’s show: We’re STILL celebrating Tanzania’s 50 years of independence with the THIRD installment of 100 DISCO DANCEFLOOR CLASSICS spanning two decades—the 1970s and the 1980s—with ABSOLUTELY NO repetition for several weeks GUARANTEED. If you’ve got a new year's day party on today—or maybe you just want to chill it out over this festive day, we’ve got the perfect disco party anthems compiled especially for you. So stay tuned to Boogie today and EVERY Sunday EVERY week for MORE and more Disco action—I GUARANTEE it! I will open today's show with Lonnie Liston Smith's – Expansions from 1975. Lonnie Liston Smith, Jr. (born December 28, 1940 in Richmond, Virginia) is an American jazz, soul, and funk musician who played with important free jazz artists such as Pharoah Sanders and Miles Davis before forming Lonnie Liston Smith And The Cosmic Echoes, recording a number of albums widely regarded as classics in the fusion / Quiet Storm / smooth jazz and acid jazz genres. Also featured today are The Jones Girls – Nights Over Egypt from 1981. The Jones Girls were an R&B trio of sisters from Detroit, Michigan. They consisted of sisters Brenda, Valorie and Shirley Jones. They served as backup singers for Lou Rawls, Teddy Pendergrass, Aretha Franklin, and Le Pamplemousse. They worked with Diana Ross from 1975–78 and were the backup singers on Linda Clifford's 1978 album If My Friends Could See Me Now. 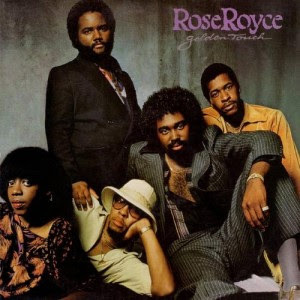 Their less successful single "Nights Over Egypt" (released in 1981, charting at R&B #23 in 1982), is currently a cult classic that receives more airplay on urban radio stations than any of their previous bigger hits. And look out for Rodney Franklin – The Groove from 1980. In 1980 the album You'll Never Know saw some major chart success with "The Groove" (it reached number 7 in the UK Singles Chart). The track was released on both 7" and 12" format. It created a UK dance craze called 'The Freeze' which was started up by DJ Chris Hill. Narada Michael Walden – I shoulda Loved Ya from 1979. Narada Michael Walden (born Michael Walden on April 23, 1952 in Kalamazoo, Michigan) is an American producer, drummer, singer, and songwriter. His number one hits have included several collaborations with Whitney Houston ("How Will I Know" "I Wanna Dance with Somebody (Who Loves Me)" "So Emotional" "Where Do Broken Hearts Go" "All the Man That I Need", Mariah Carey ("I Don't Wanna Cry" "Heartbreaker"), Aretha Franklin & George Michael ("I Knew You Were Waiting (For Me)"), Diana Ross ("Take Me Higher")... to mention but a few. And give it up for the phenomenal Heatwave – Gangsters Of The Groove from 1980. Heatwave was an international funk/disco musical band featuring Americans Johnnie Wilder, Jr. and Keith Wilder (vocals) of Dayton, Ohio, Englishman Rod Temperton (keyboards), Swiss Mario Mantese (bass), Czechoslovak Ernest "Bilbo" Berger (drums), Jamaican Eric Johns (guitar) and Briton Roy Carter (guitar). They were known for their successful songs "Boogie Nights" and "Always and Forever" (from their 1976 debut album, Too Hot to Handle), and "The Groove Line" (from their 1978 follow-up album, Central Heating). Rod Temperton who quit the band in the 70s continued writing new songs for Heatwave, he soon became better-known for his songwriting for other artists, penning award-winning songs for some of funk's biggest names, including Rufus and The Brothers Johnson. He also wrote for Herbie Hancock and Quincy Jones, but his most famous partnership remains the one forged with Michael Jackson, writing three songs for his 1979 Epic debut Off The Wall - "Rock With You," "Off The Wall" and "Burn This Disco Out", and three songs for the 1982 Thriller album, including the title track THRILLER. I look forward to today's show. The playlist is going to be awesome.